The regional approach to procurement has allowed participating communities to maximize operational benefits, cost savings, and constituent satisfaction. CRCOG’s Online Permitting Program launched in 2009 after the organization received a state grant to undertake a regional IT project, and several members identified ePermitting as a priority that could bring substantial change to their communities. Through an in-depth Request for Proposal process, ViewPoint was selected for it’s online functionality and user-friendly interface. Employee view of a building permit in ViewPoint Cloud 3. CRCOG Program Manager Brian Luther acts as an educator and communicator for municipalities, and explains how the biggest impact from implementing ViewPoint Cloud has been an improved customer service standard within building departments. 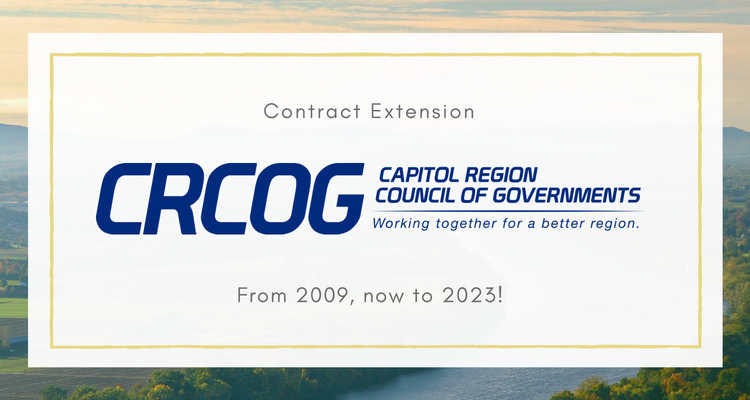 Although originating with communities in CRCOG’s Hartford region, the agreement between CRCOG and ViewPoint was crafted to allow all Connecticut municipalities to participate. Almost 10 years later, the Online Permitting Program is one of CRCOG’s most well-known and in-demand services. Growing numbers of Connecticut municipalities are signing on, joining 28 cities and towns already using ViewPoint permitting software through the partnership. In contrast to notoriously cumbersome and expensive IT projects, ViewPoint Cloud implementation has also been an area of measurable success and sets a new precedent for forward-thinking local governments seeking the best technology solutions. Providing streamlined procurement and support resources, the project is an exemplary model for local, regional, and state cost-sharing and collaboration. Paired with ViewPoint’s agile approach to implementation, Bloomfield, CT, for example, was able to implement ViewPoint Cloud internally, without a dedicated IT staff member or consultants. The program has also seen product growth as ViewPoint Cloud was phased into the ongoing Permitting Program after the product’s launch in 2013. This long-standing partnership has meant these municipalities can rely on the same company, people, and program, year after year, while continually being upgraded to the newest modern platform. ViewPoint maintains a collaborative relationship with it’s municipal customers, supporting these transitions and actively soliciting feedback through events like a recent Connecticut Customer Meetup hosted by CRCOG in February. ViewPoint CTO, Alex Pajusi presenting at the Connecticut Customer Meetup. Breaking down barriers to innovation and making sure that communities of all sizes have access to modern technology platforms is a key value driving the partnership between CRCOG and ViewPoint. These partners look forward to another five years of this successful Online Permitting Program and hope to serve as model a for modern government technology collaborations for communities around the nation.